Har ki Dun is a cradle shaped valley set at an height of 3566 mts in the heart of Govind Ballabh Pant National Park. Har ki Dun Valley offers spectacular views of untouched valleys in the far off lands of Garhwal Himalayas. 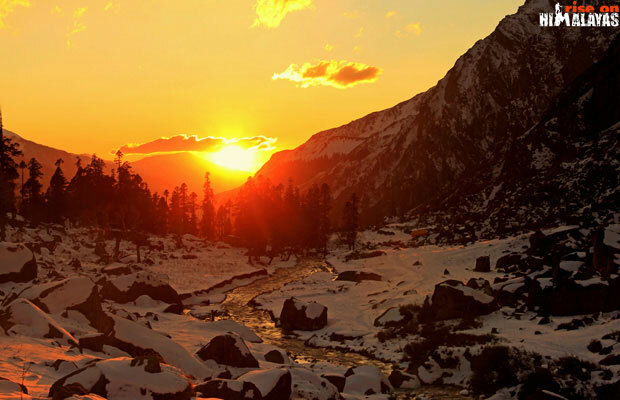 It is one of the most beautiful places in India offering numerous trekking excursions. The trek from Taluka to Har Ki Dun is graded easy. This trek goes through some of the most isolated villages of India which are still unaffected by the civilization. The people of this region are very warm and welcoming. Shepherds come to this region for moths to graze their animals on the rolling grass. The valley remains snow-covered from December to March. This week long trek through the valley is one of the most scenic treks in Uttarakhand. The key highlights of Har ki Doon Trek are jaw-dropping views of mighty Himalayan Peaks like Swargarohini Group of Peaks, Kala Nag (Black Peak), Bandarpoonch & many more. Arrive at Sankri Village, meet the trek guide and way to hotel/homestay in Meraki Sankri. There is a 12 kms jeepable road connecting Sankri with Taluka. The trail goes through dense forest of chestnut, walnut and chinars. The trekking route from Taluka to Seema stays on the right side of Supin River. You’ll need to cross wooden bridges over streams and do occasional climbs which doesn’t last for long. After crossing Seema a giant bridge over Supin River will greet you, cross it and climb a steep route until you reach a small bridge over a stream. This is a steep climb and it will take half an hour to one hour of your time. The trekking trail is visible for the next 4 kms gradually ascending towards the left top over a vast expanse of lush green meadow. After reaching Kalkati Dhar there will be a change in scenery and the trail will become less demanding. Soon the route opens up and Hata Peak becomes visible. Har ki Dun is situated at the foot of Hata Peak. There is a beautiful camping ground at Har ki Doon with a calm stream flowing in between. It is the best camping site you'll come across while trekking to Har ki Dun. Wake up to see the sun rising from behind the Swargarohini Peak. You can either relax and chill at Har ki Doon or opt for any one of the two nearby treks Jaundhar Glacier or Maninda Tal trek. 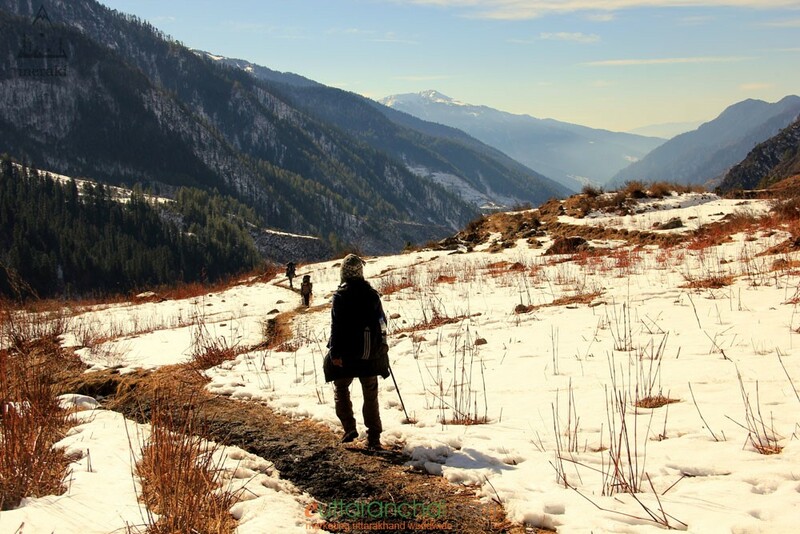 Trek back on the same trail and pay a visit to the isolated yet culturally rich village of Osla. Osla Village is located on the opposite side of Seema. Chat with local villagers and trek back to Seema around lunch time. Night stay either in Seema or Osla. After breakfast, trek back to Taluka and thereon to Sankri Village. Night stay in Sankri Meraki Homestay. Catch early morning bus/cab from Sankri to Dehradun. Our trek services will end in Sankri Village. As Har Ki Dun is more of a trek route for the adventurous souls than your tourist folks, there is not much sightseeing available apart from the abundant natural beauty. 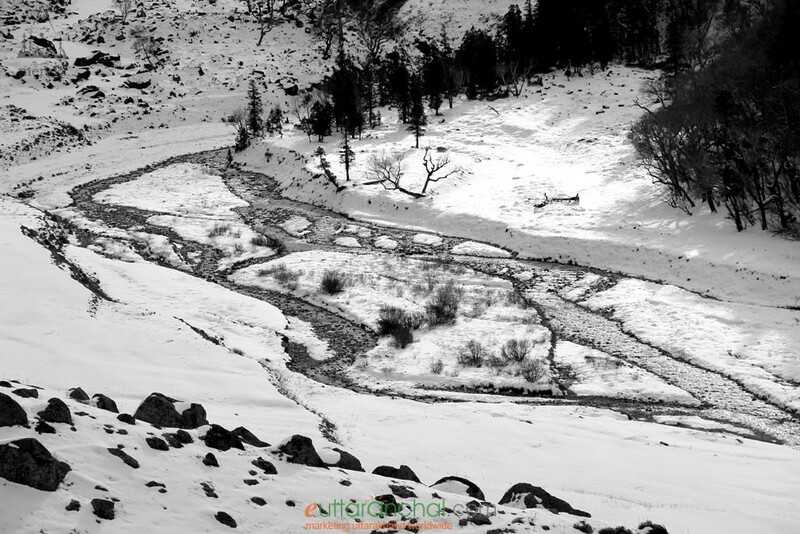 However, one could trek further 4 kms from Har Ki Doon to reach Jamdhar Glacier and Morinda Tal. Trekking: Har Ki Dun is one of the most rewarding trek in the Garhwal Himalayas which bestows trekkers with picture-postcard natural beauty in the form of cascading waterfalls, snow clad mountains, forests covered with pine and oak trees, gushing rivulets and rivers. Camping: Camping is one of the most amazing experiences one could have in the lap of nature. Setting up tents with friends under the clear night sky helps one relax and rejuvenate after a tiring day. Har ki Dun offers one of the best views of the Himalayas and an equally captivating night sky. Village Tourism: Along the way, one comes across hamlets that are inhabited by the indigenous communities of the region. One can explore the beautiful villages such as Osla, Sankri, etc situated in the lap of nature and learn about their rustic way of life, customs and culture. Bird watching& Photography: With diverse range of flora and fauna, Har ki Dun is a nature lover’s paradise. Enjoy the calm of watching the beautiful birds and take photographs of stunning sights in front of you. Although, Har Ki Dun trek is a graded easy, the distance covered is relatively more. Hence, the trekkers need to be physically fit for this trek. One can also find mules and porters for hire, especially during the trekking season if one has difficult carrying the luggage. When travelling in monsoons, make sure to check with local authorities, tour guides or tour operators about the weather and road conditions before you actually start your trip or trek. It is advisable to have an experienced tour guide to accompany you on your trek. The guide would know the route well and help you valid going off course. Forest Rest House and GMVN Guest House provide accommodation facilities in Har ki Dun. GMVN Guest House provides accommodation in dormitories and rooms. The best option is to carry camping tents because there are numerous amazing camping locations at Har ki Doon. Before Har ki Dun , accommodation options are also available at GMVN Har ki Dun, GMVN Osla, GMVN Taluka and GMVN Sankri. In Sankri you can stay at the the best property in the region - Sankri Meraki Homestay. Har ki Dun lies in the valley of the majestic Swargarohini Peak. It is believed that Yudhisthir of the Mahabharata was sent to heaven with the dog from this peak. The ancestors of the people of this region have great influence of the characters of the Mahabharata. The ancestors of this area and its surroundings were said to be under the reign of the Kauravas and Pandavas, the mythological royal warriors and kings in the epic Mahabharatha. 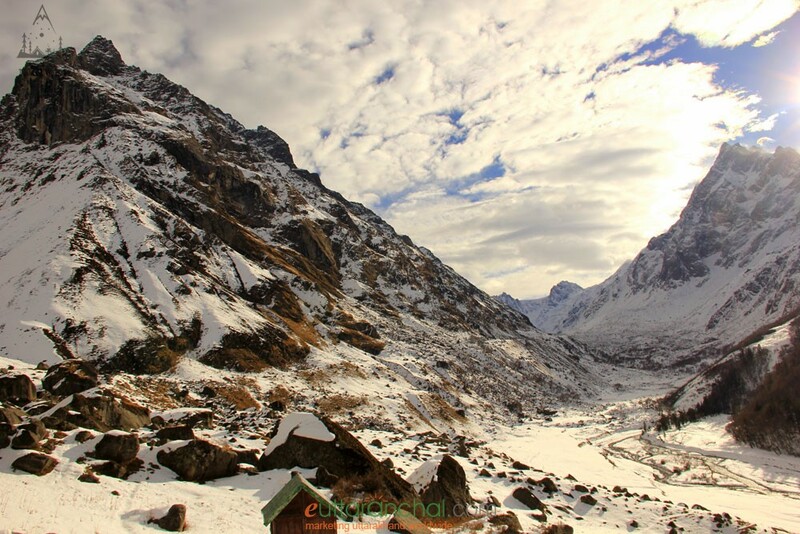 Why trek to Har ki Dun Valley? The trek from Taluka to Har Ki Dun is graded easy making it an ideal option for beginners. This trek goes through some of the most isolated villages of India which are still unaffected by the civilization. These small villages of Taluka, Osla, Jakhol that come across the trek are set at a picturesque location. You’ll get to see the distinct lifestyle of the villagers and their rich cultural traditions. The people of this region are very warm and welcoming. Shepherds come to this region for months to graze their animals on the rolling grass. The route of Har ki Dun trek is scenic and filled with diverse flora and fauna. Along the way take pictures of the diverse flora and fauna, the wooden houses of the villages, the scenic beauty of the trail, and the cultural heritage of the people. Q. 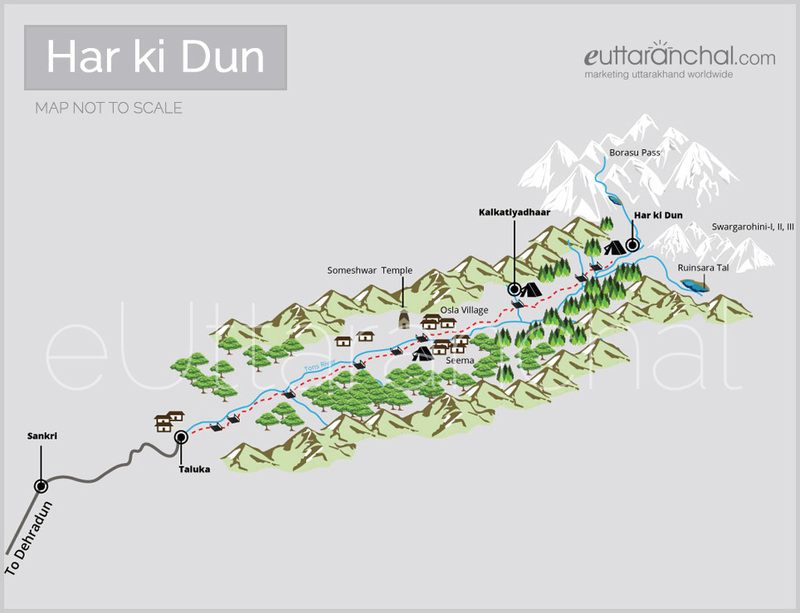 What is the maximum height or altitude of Har ki Dun Valley? Q. What is the average trek cost for Har ki Dun Trek? A. The average trekking price for Har ki Dun from sankri vary from Rs 8000 to Rs 15000 per person for 6 nights tour and around Rs 9000 to Rs 18000 for 7 nights tour. The Har ki Dun trek cost depends on the services offered, group size, stay quality in Sankri, Season and off season time and other factors. Q Can we get trekking equipments, tents, shoes on rent for Har ki Dun trek? A. Yes, you can get trekking equipment, tents for camping, trekking shoes, gators and spikes during winter trek when snow is all around, trekking poles (sticks), jackets and other stuff for Harkidun trek. There are few shops which offers equipment for rent in Sankri. Q. We have a shoe string budget. Can we do Har ki Dun trek on low budget cost? A. If you are very tight on budget then you can plan for YHAI (Youth Hostel Association of India) Har ki Dun Tours. YHAI offers low cost and very basic trekking tour and programmes of Har ki Dun Valley. Q. 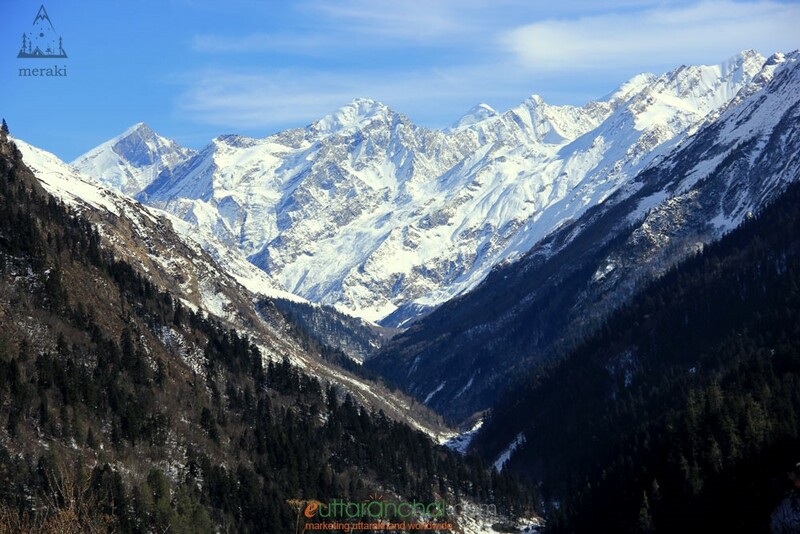 What is best time for Har ki Dun Valley trek? A. The ideal time for Har ki Dun trek is during summers (from April to June) and post monsoons (from September to December). 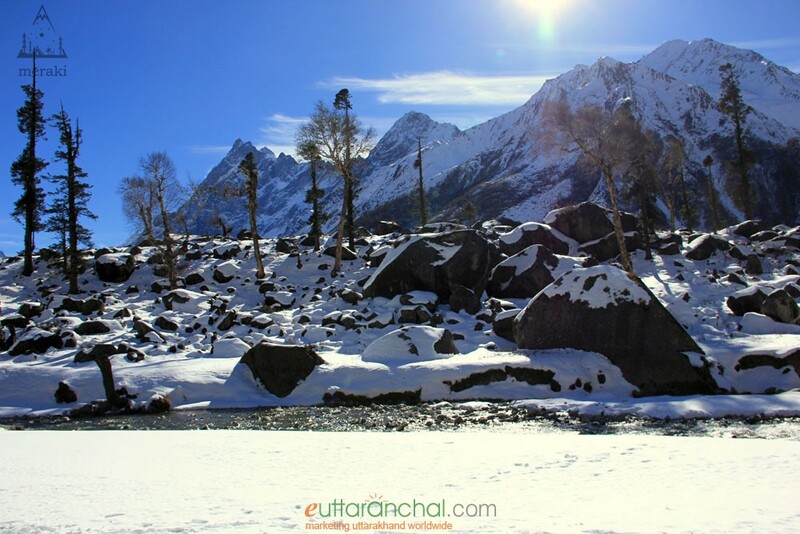 During winters, you can enjoy snow trekking in Har ki Dun. You can also check Har ki Dun Weather Updates. What is Har ki Dun Trek famous for? Har ki Dun Trek is famous among tourist as Valley and Views, Trekking, Winter Trek, Camping. Har ki Dun Trek is recommended destination for Corporates, Couples, Family and Kids, Foreigners, Groups, Solo. Har ki Dun Trek is popular destination for following activities/ interests - Adventure, Camping, Christmas and New Year, Trekking, Village Tourism, Winter Treks.